If there was ever a new swimwear clothing line that could change the entire industry, SwimZip swim suits just might be the one. Swimzip clothing and swimwear uses materials blocking over 98% of UVA rays from the sun that's been directly linked to skin cancer. Everyone knows it's a good idea to put sunscreen protection on to block AVA rays, but who would of thought about protecting these harmful rays entering directly from your swimsuit? We'll fortunately we have sibling's Betsy Johnson and Berry Wanless coming to the Shark Tank with this new product line that guarantees you will think twice the next time you buy a new swimsuit, especially for your children. Swimzip officially became a business in March of 2010 after Betsy successfully was treated for a form of skin cancer which was also the motivation to start this new line. Johnson credits a lot of Swim Zip's early success from participating in Youth Entrepreneurs which helped grow this start-up business during this critical phase. What started out in a YE class at Topeka High School helped Betsy with everything from writing a business plan, getting loans and even practice pitching to potential Shark Tank investors. Now less than 4 years later, Betsy and her brother/ business partner Berry, will be entering the biggest Business Stage in the entire world with a UV protective product thousands of people are going to love. 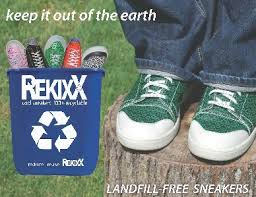 Rachael Olsen the founder of Best Mom Products was kind enough to send Shark Tank Success Blog a link to a video interview she did with Betsy Johnson in 2012. If you have ever had a great idea for a new product and don't know where to start, then this is one video you might like to watch. Betsy honestly admits she had no idea where to begin, but her enthusiasm to succeed and her willingness to learn whatever it was going to take, brightly shines in this interview. I'm actually listening to the video as I'm writing this article and she's talking about bloggers not being effective for the Swimzip product. 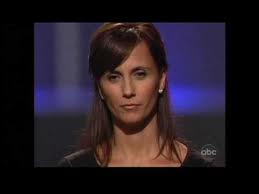 LOL, I sure hope She changes her mind after Shark Tank Fans comes knocking on her door this Friday night ;). It looks like a great clothing line that no doubt a few of the Shark's will be interested investing in. If I had the opportunity to help the Sharks spend some of their money, I'd partner Daymond John and Lori Greiner investing in Swimzip UVA protection swimwear. These two Sharks usually stay on their own sides of the tank, but who knows, Swim Zip's unique product line may be just what it takes to bring them financially together. 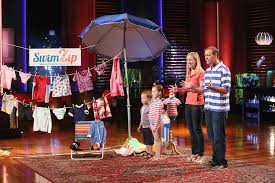 After watching the video above and seeing how determined Betsy is to make Swimzip a Huge Success, I would be very surprised if they don't get a deal on the Shark Tank. Betsy also talks about the website not being efficient at some point, but SwimZip's website is now professionally designed with dozens of child protective swimwear to choose from. The business seems to have everything it take's to become a Huge Shark Tank Success Story in the very near future. 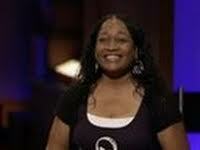 Good Luck (or should I say congratulations :) Betsy and Berry this Friday night on the Shark Tank Show! Thank you so much for including her video/my interview with her. She is so passionate and this is a great product. If you have kids, you realize how challenging it is to take on/off a wet rashguard so a zipper is the perfect solution. Thanks again! MAYBE if they block the sun. Not everyone want a sunburn/tan.